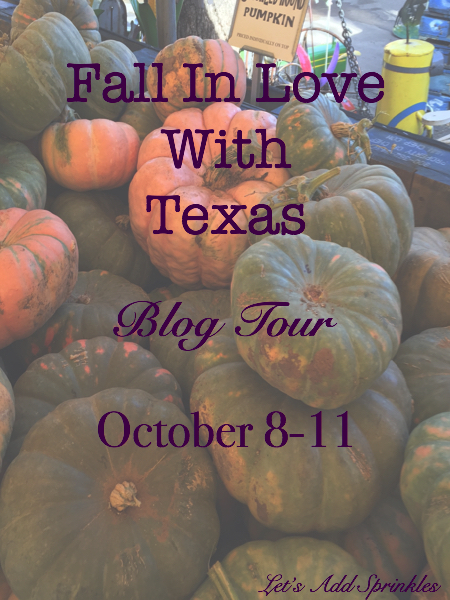 Please join us next week for a blog tour featuring some Texas bloggers. I know you will be inspired. I've been cleaning out some of collections. I am a collector of collections, in case that was evident. My collection of fall accoutrements includes vintage and antique squirrels, owls, leaves, and acorns. I get a little frustrated that all this stuff takes up so much room in totes so I was trying to purge things that I didn't love or that aren't in perfect shape. 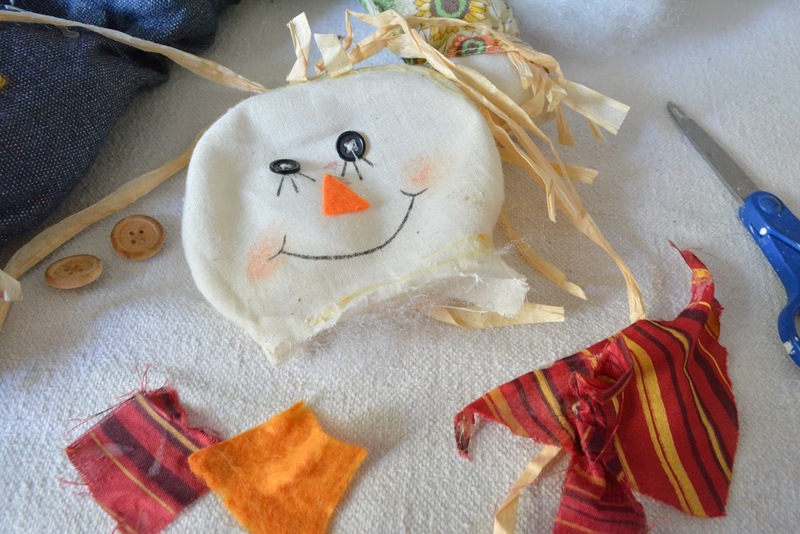 A little scarecrow's face got damaged. He used to decorate my classroom but he came home with me at some point. I set him in the give away pile. We have a running give away pile which is sad on many levels but that's another post. A casual stroll past the pile was met with a sudden epiphany. The body was in pretty good shape. I removed the head and all of the cheap "Hobby Lobby like" details. 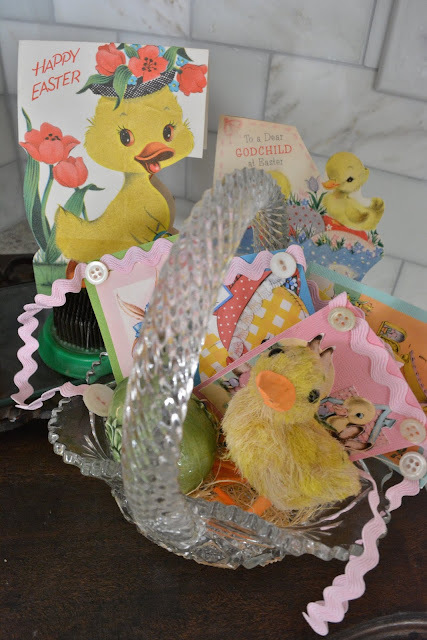 I had cuter stuff in my scrap pile. The head was used as a pattern. A quick Pinterest and eBay search yielded some face inspiration. The cutest faces were embroidered in my opinion. He got a new scarf, patches and buttons. New raffia was used for his stuffing and hair. The corn came from one of my favorite crafters. 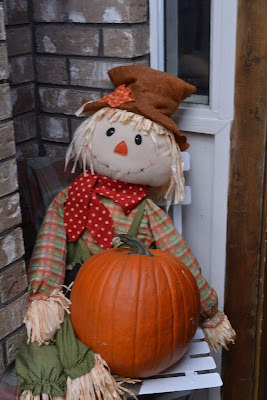 Scarecrows are the snowmen of fall. A harbinger of all the fun decor brought out at Christmas. I hate to break it to him but he's not scaring any crows. What a cutie if I do say so myself. It was a fun way to while away an evening. 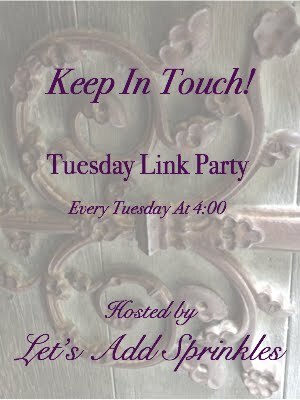 Please stop in to see our tour next week. Your remake turned out way better than the original. 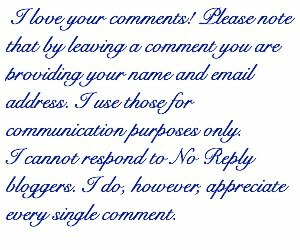 I've pinned this for future use. Thanks for sharing. So cute Katie ... looking forward to your blog Tour of so many talented bloggers. What a lucky scarecrow to have you make him over! Adorable. Looking forward to the fall tour. He is definitely a CUTIE! 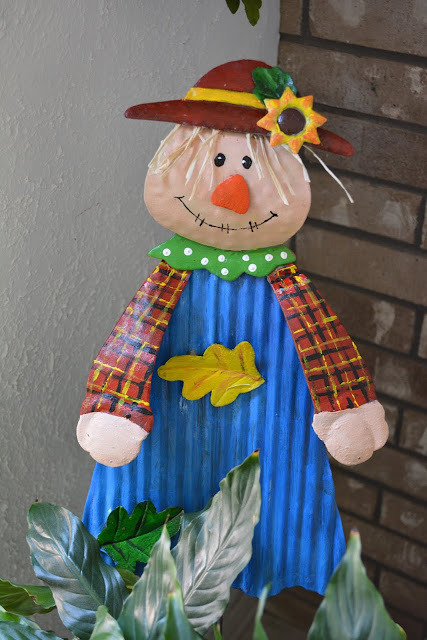 Autumn is just not complete without scarecrows and yours are wonderful! How cute! 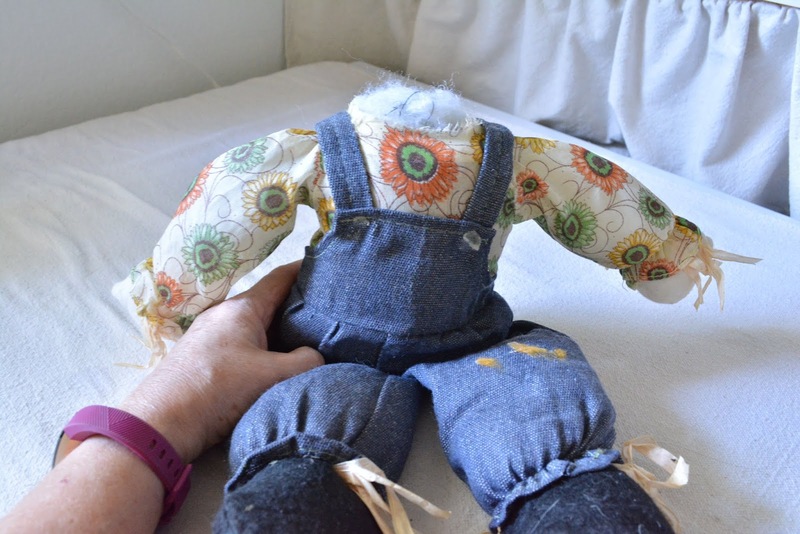 I have been wanting to make a little scarecrow! 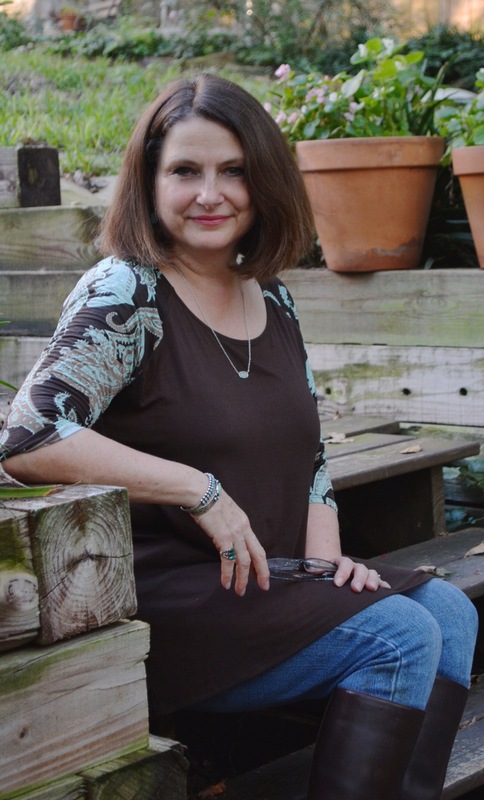 Jann of Have a Daily Cup of Mrs. Olson shared one on the fall porches tours yesterday. I loved it. Heading to Pinterest to look for ideas! Hi Katie, I love the refurbished scarecrow! The stenciled face is just perfect!! Thanks for sharing with SYC.